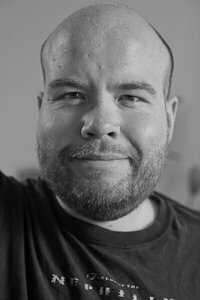 I’m Matt Gibson, a creative geek from Bristol. Some people know me as “gothick” (pronounced as “gothic”), for fairly obscure reasons1. This site is mostly for my relatively random blog, on tech, productivity, music, and other things. I’m a programmer. I’ve been programming since 1981, and I’ve written everything from corporate insurance systems to Facebook apps. Most of my work has been for big UK financial services companies, but recently I’ve turned my hand towards web and mobile app development. I’ve often partnered with Splendid Things, purveyors of Get Running for iPhone. I created the Android version of Get Running, for example. Here’s my Stack Overflow Careers profile, and my little company web presence.